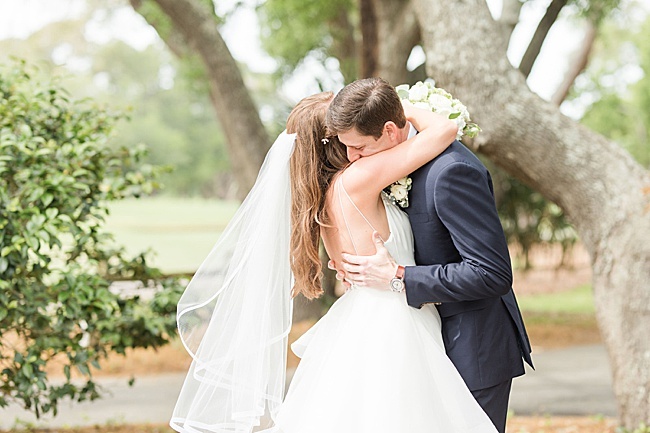 Alli and Brett met at the University of South Carolina in the most romantic of ways–at a frat party. 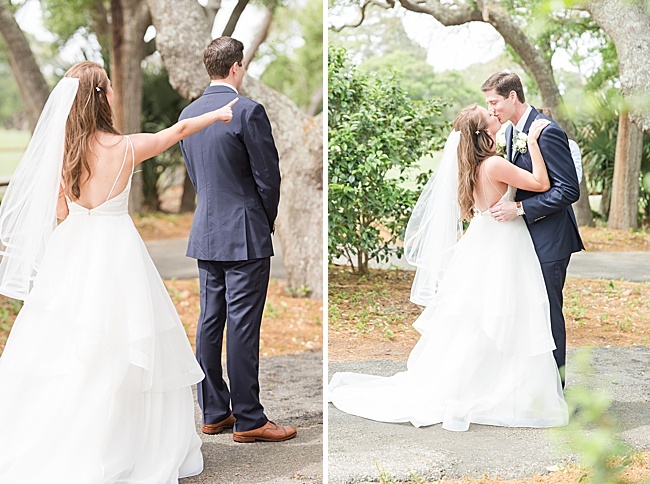 Brett noticed Alli from across the room and eventually approached her and introduced himself. 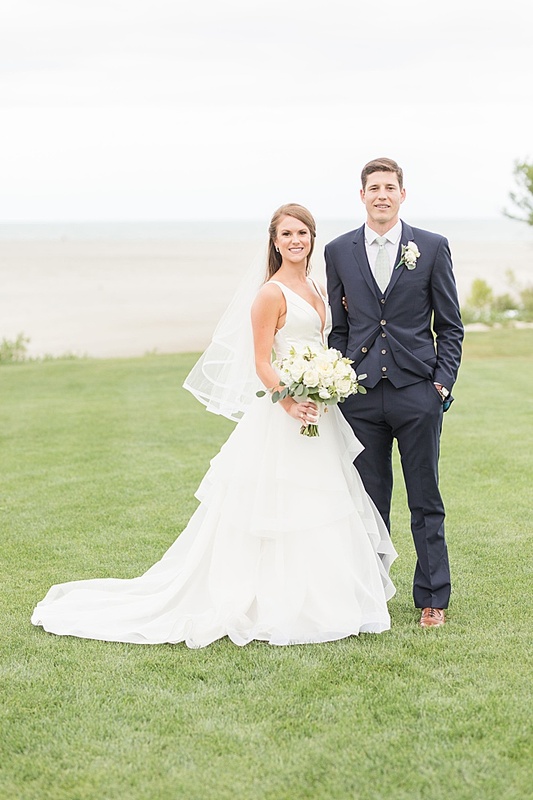 They enjoyed the remainder of the party together, exchanged numbers and had their first date later that week, which started their eight-year courtship. 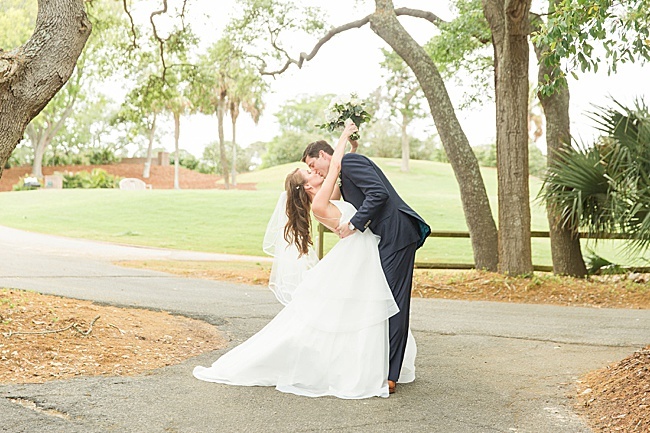 After pursuing their secondary degrees, the pair relocated to upstate South Carolina. 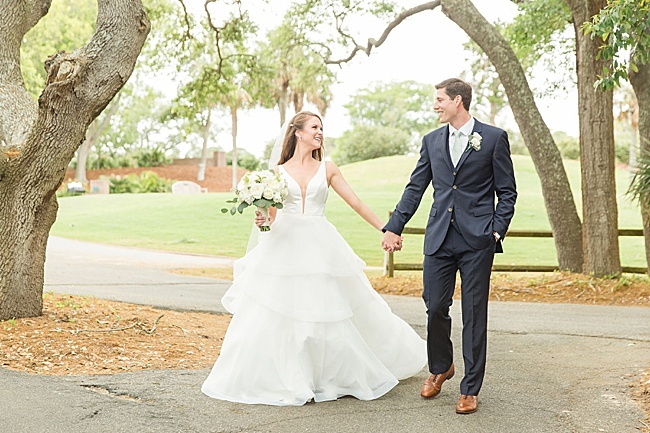 They became avid hikers, and it was during a waterfall trek that Brett proposed. 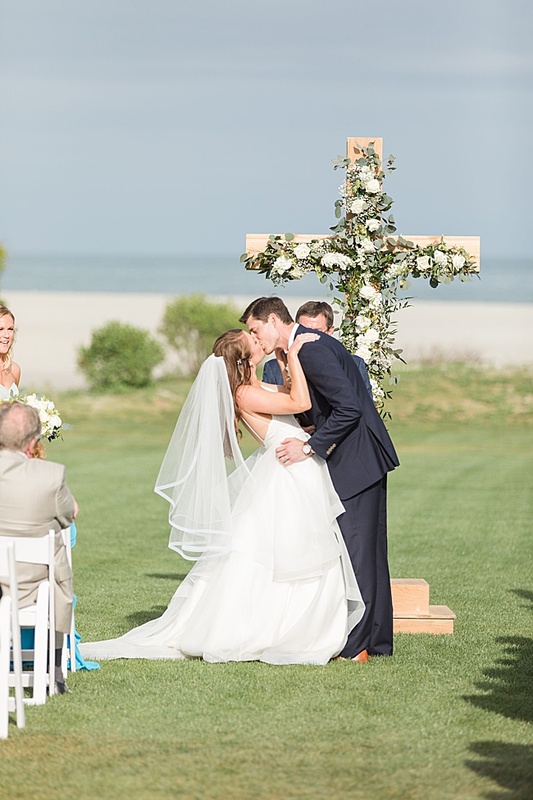 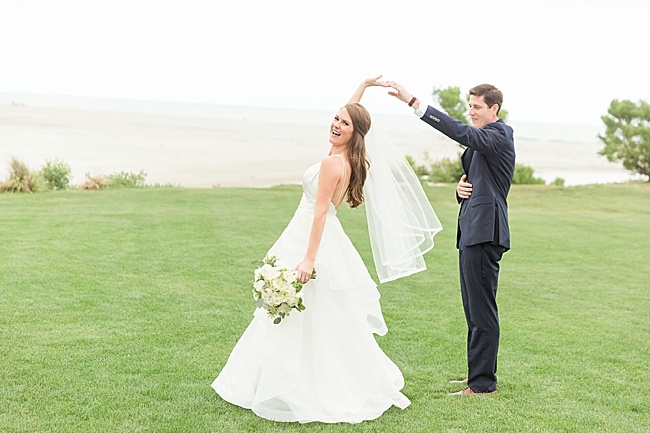 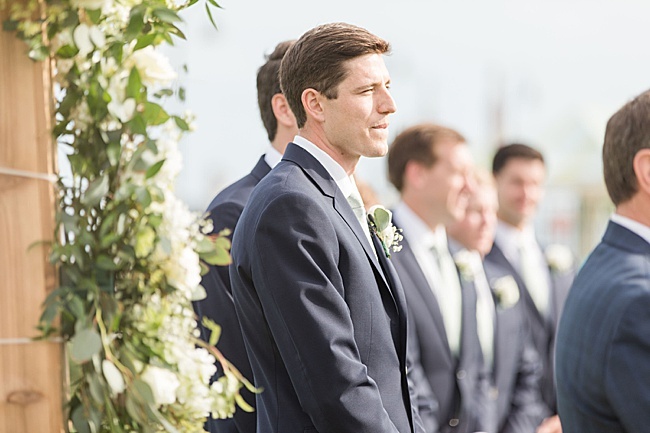 The May ceremony took place on the lawn at the Dunes Golf & Beach Club. 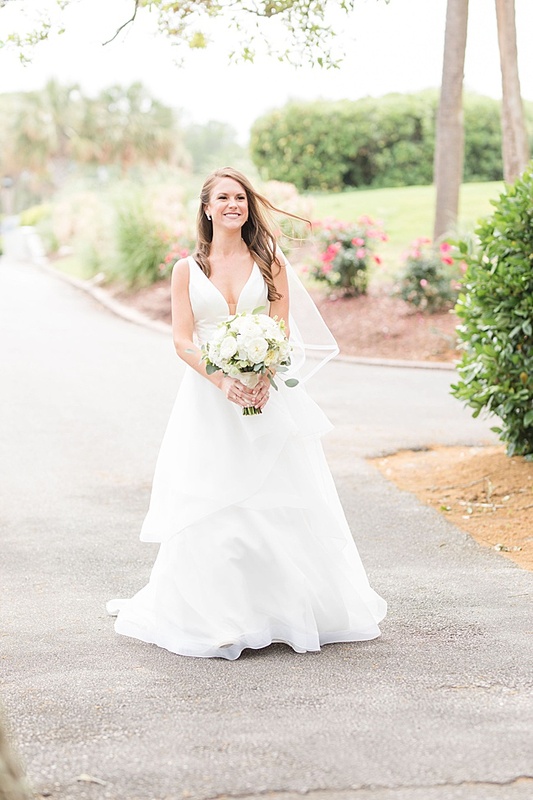 Alli grew up vacationing on the Grand Strand, and her parents now live in North Myrtle Beach. 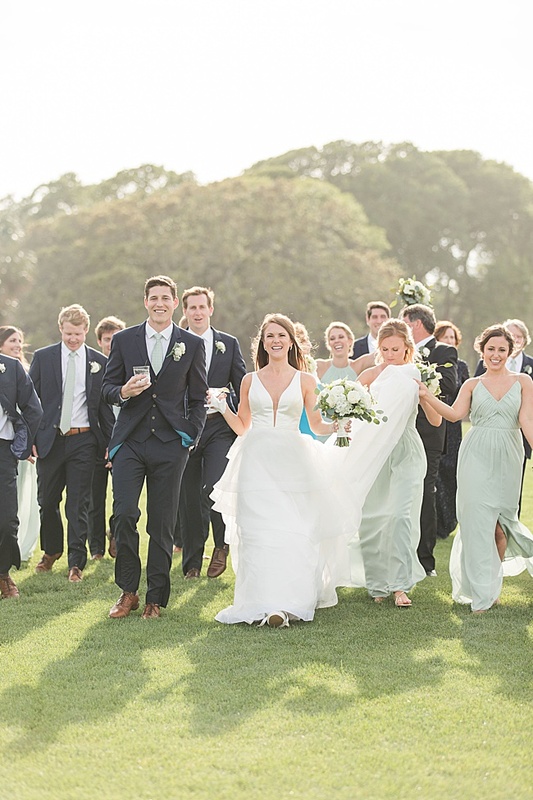 The area is the couple’s favorite place to get away and relax with friends and family, so they knew it would also be the perfect place to tie the knot. 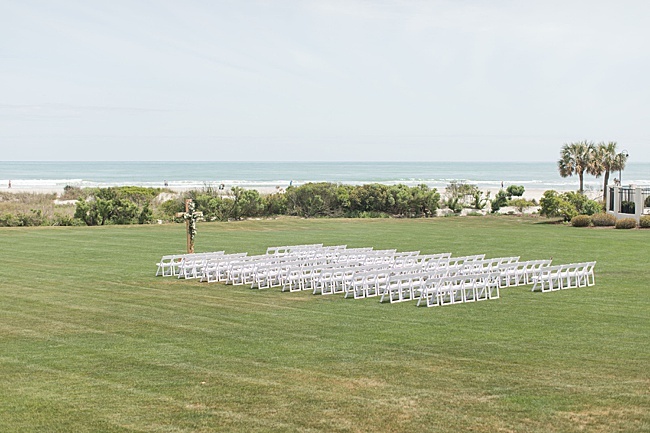 They were sold on their venue when they saw the beautiful lawn and sweeping ocean views. 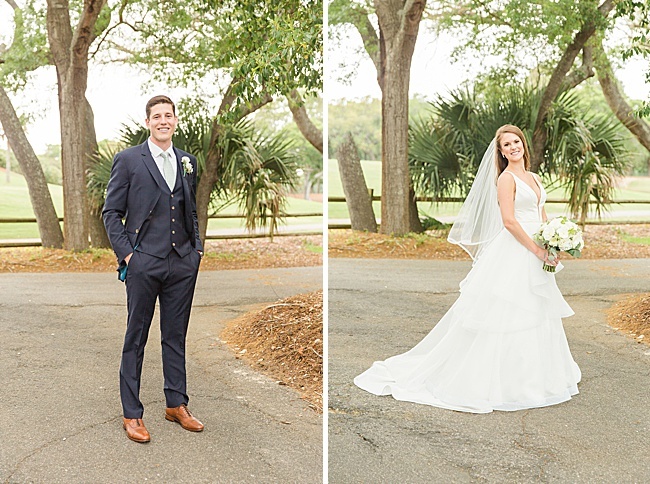 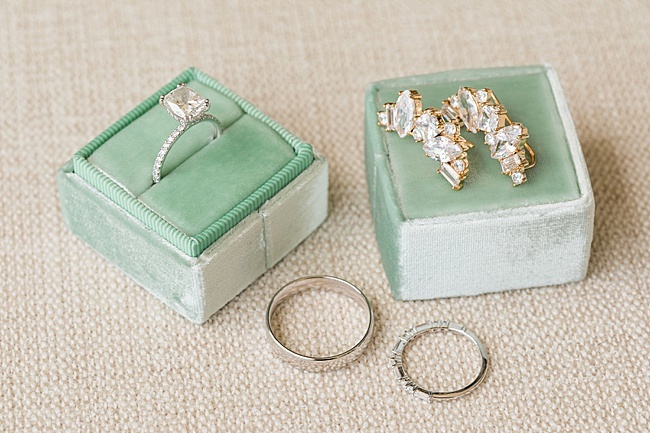 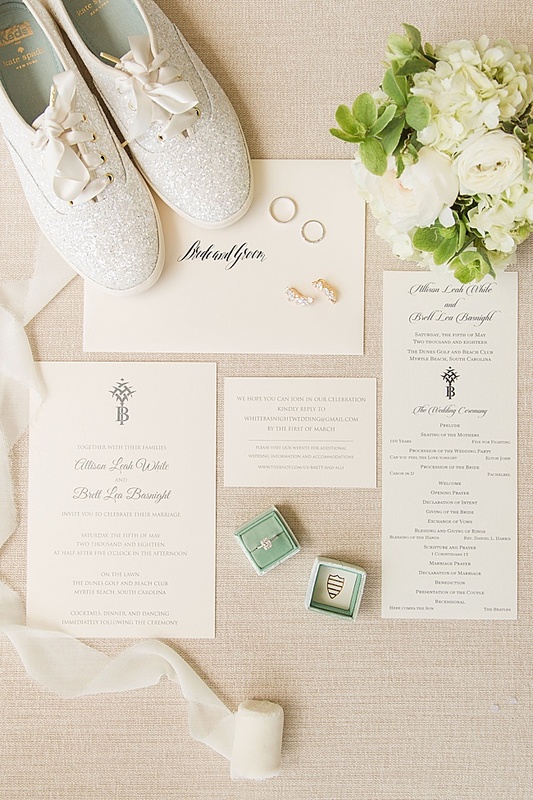 They wanted their big day to be elegant, but fun and relaxed. 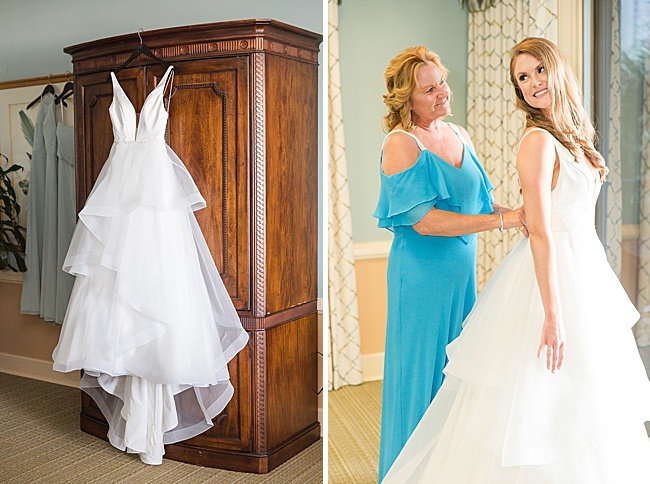 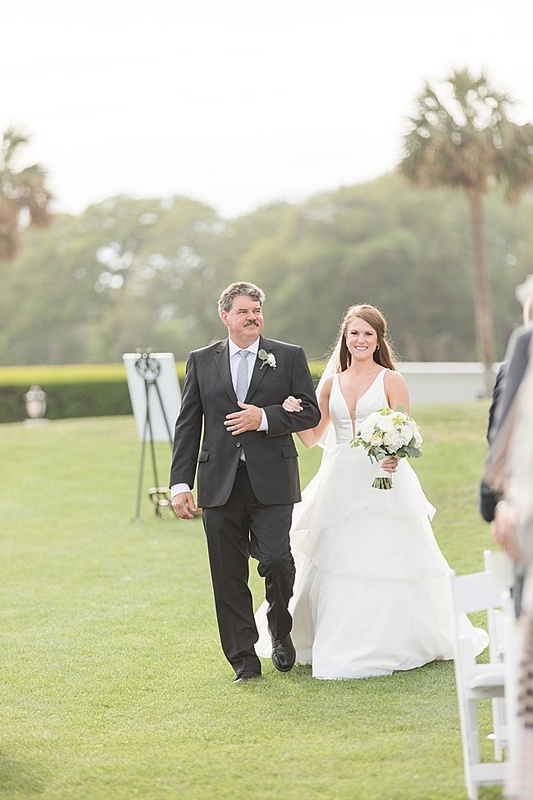 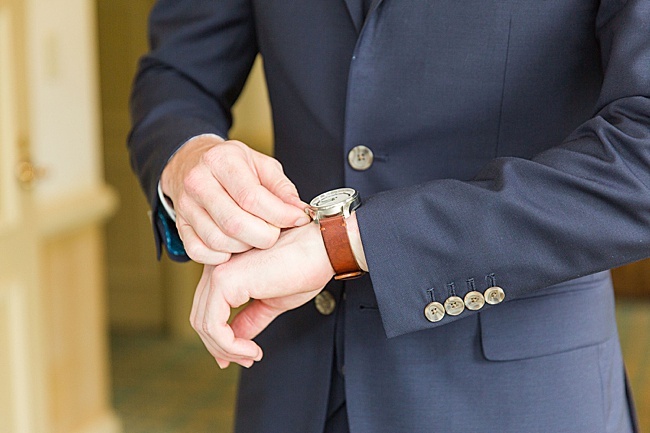 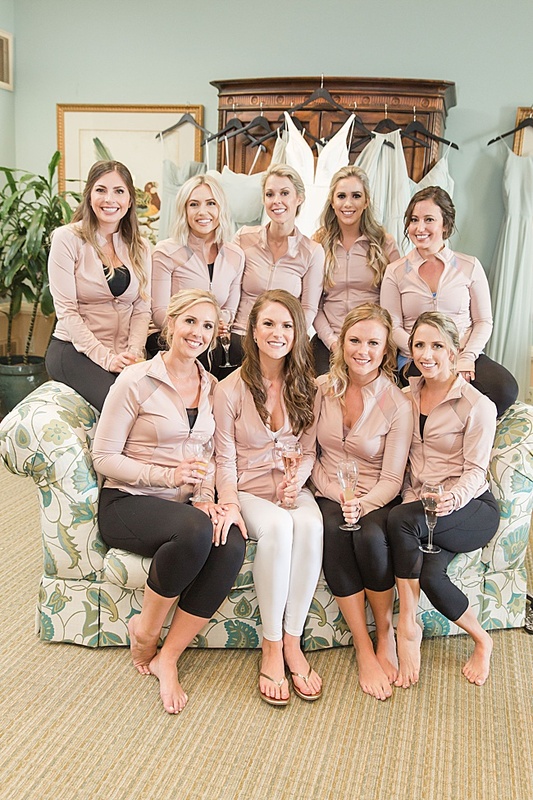 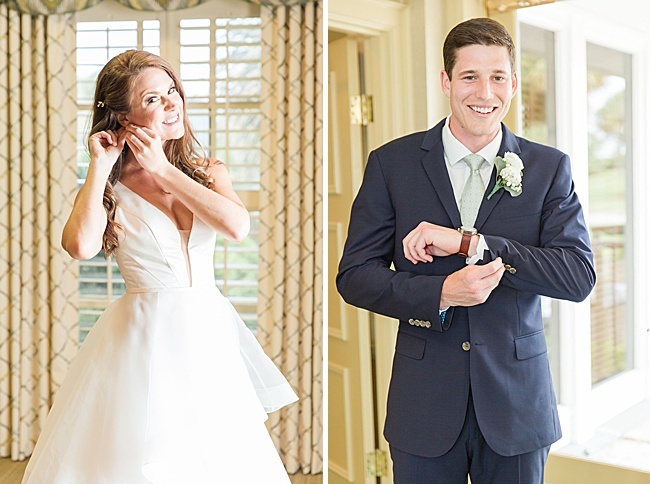 When shopping for her dress, Alli hadn’t had a “wow” moment and was heading to Charlotte to try on more when she made a last minute appointment at The Poinsett Bride in Greenville. 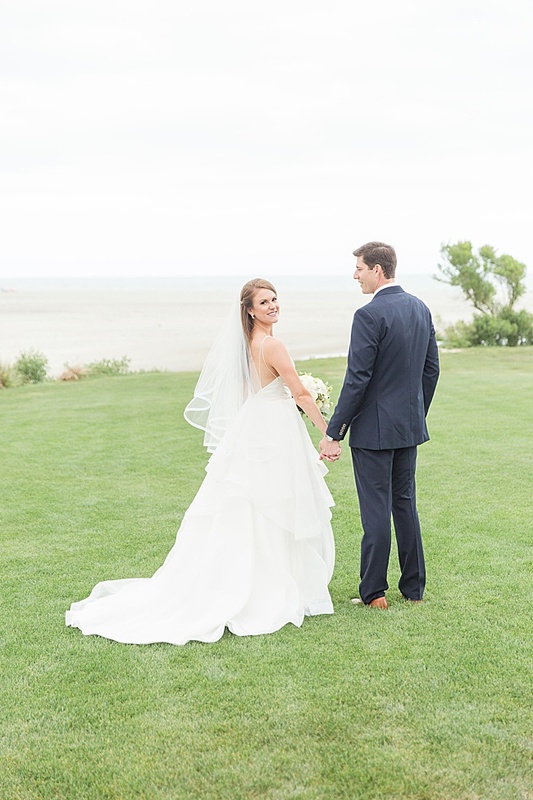 Her Mikaella gown was the first one she tried on there, and she knew it was the one. 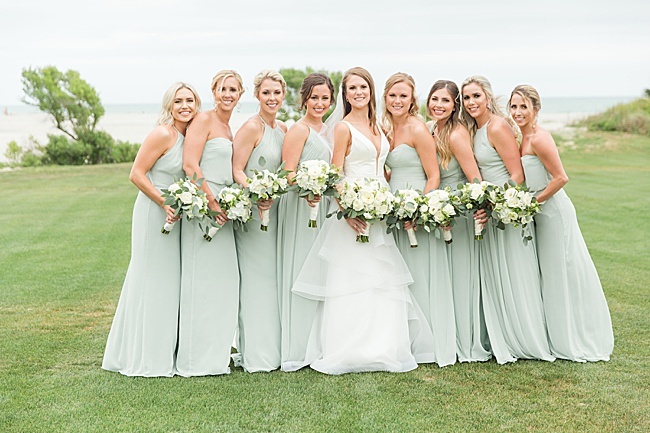 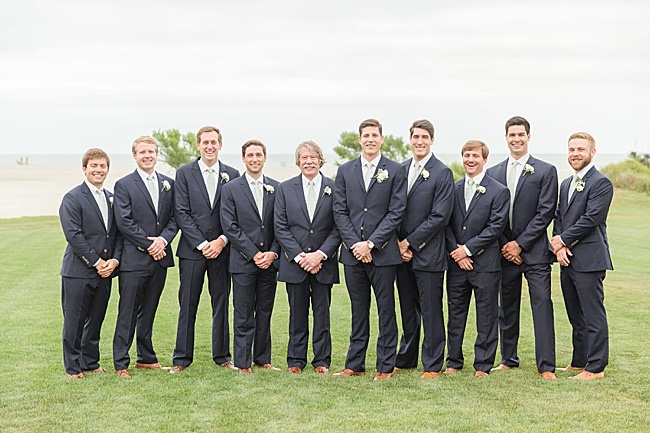 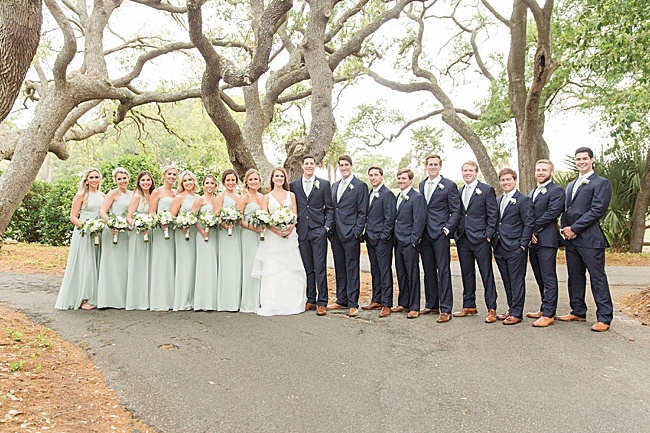 The bridesmaids wore long gowns in celadon green in a style of their choosing, and Brett and the groomsmen donned navy suits with green ties. 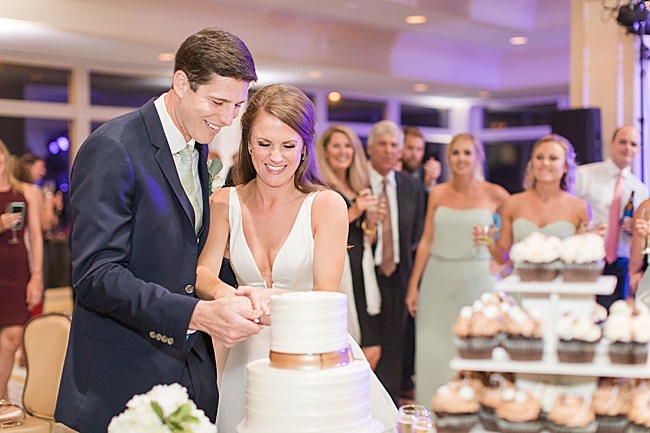 Hannah Ruth Photography captured the magical moments, with Stunning & Brilliant Events planning all the special details. 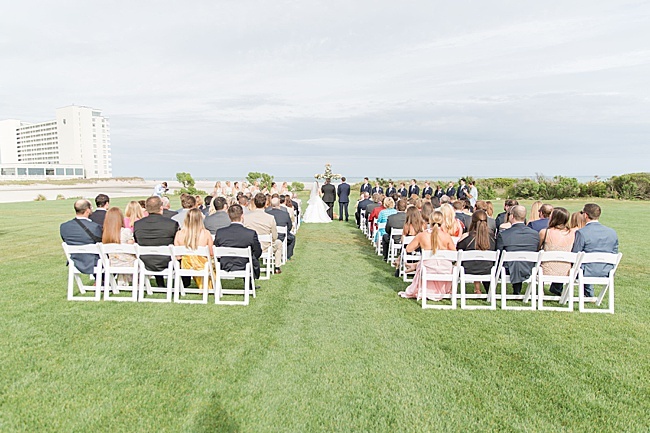 After a cocktail hour on the lawn, guests moved inside for the reception. 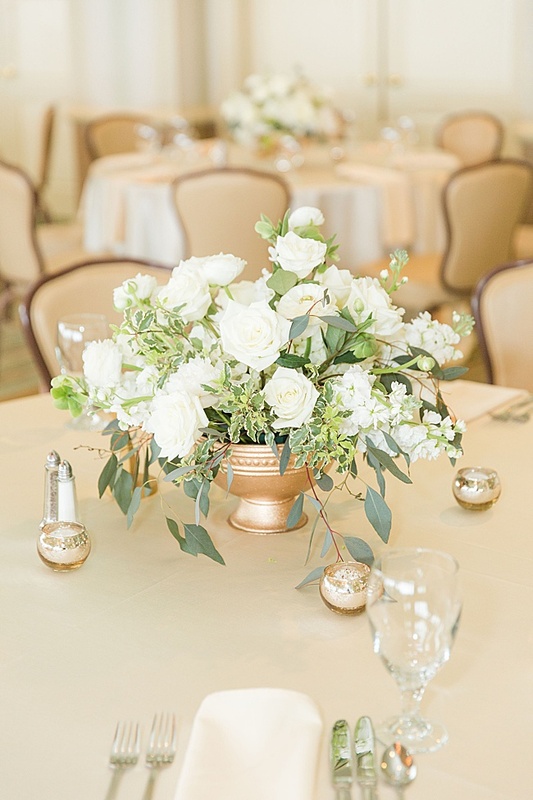 The ballroom was decorated in sage green, ivory and gold and filled with candles. 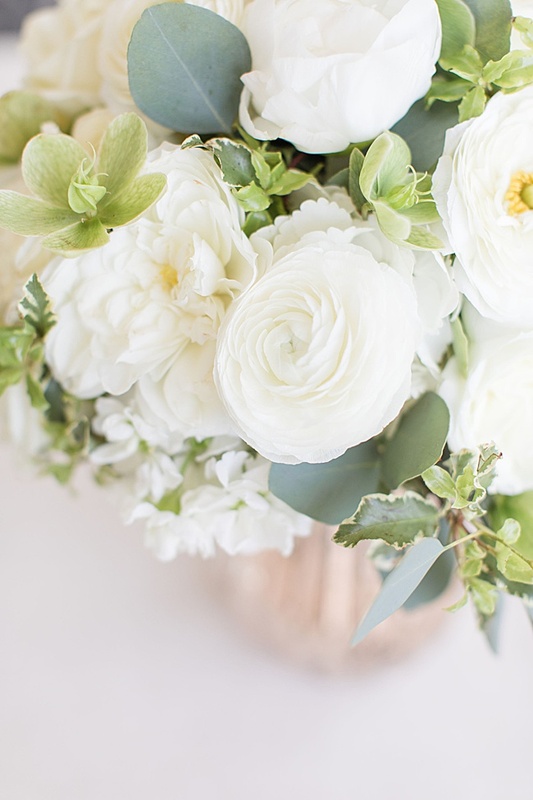 The flower arrangements created by Little Shop of Flowers were a mix of ivory and greenery. 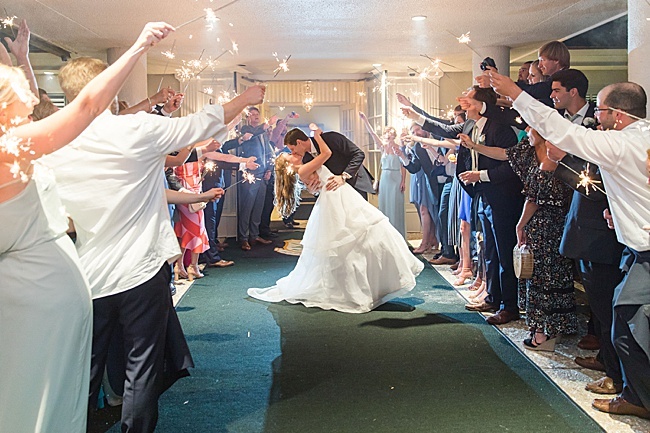 The uplighting by Globaltruth Entertianment was one of Alli’s favorite design elements, allowing the atmosphere to adjust from soft and elegant for dinner to lively and upbeat for dancing to Tru Sol. 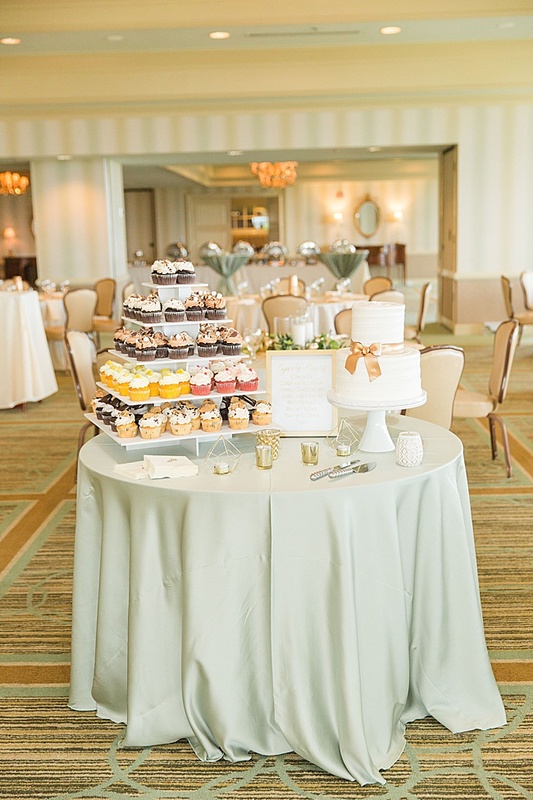 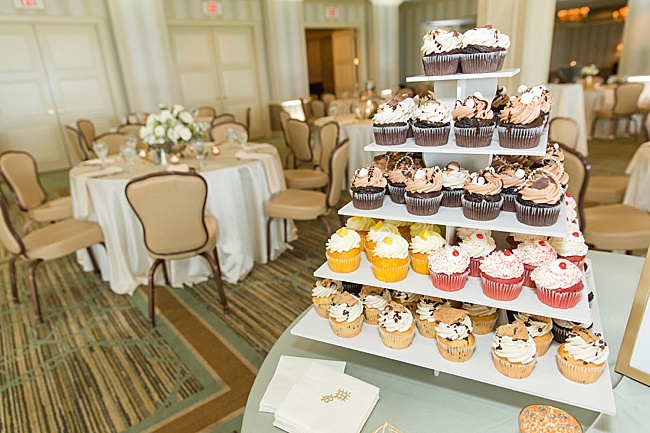 The couple opted for a small two–tier wedding cake by Coccadotts, along with an assortment of cupcakes in flavors like Cannoli, Luscious Lemon and Twix. 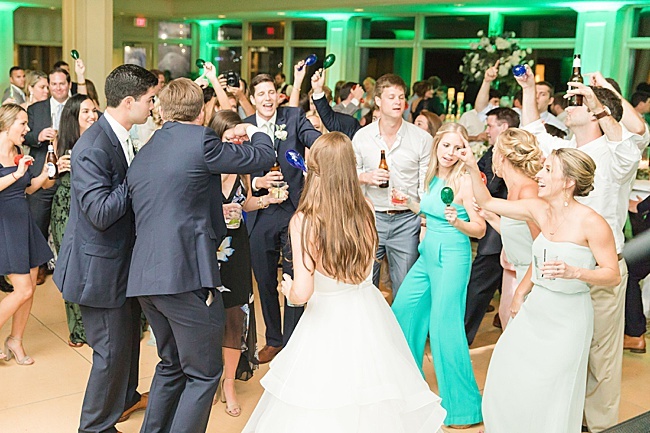 As a nod to their Cinco de Mayo date, the wedding party had a blast being introduced to a themed entrance song, with maracas handed out later in the night. 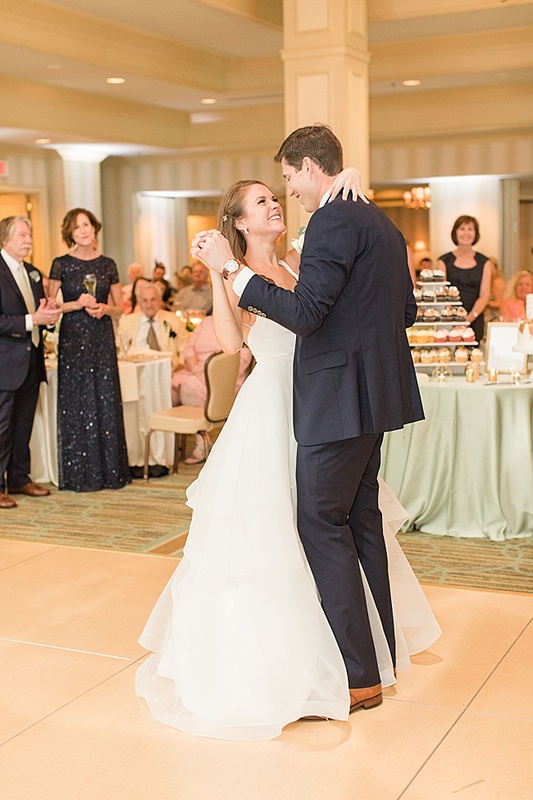 Guests were also offered an amazing surprise as they left the dance floor at the end of the evening–Chick-fil-A nugget boxes!